3 Birds Linking - Should I Power Wash My Engine? You wash and detail your car, right? Doesn't it look gorgeous after a wash, all shiny and sparkling in the sun? Maybe you’ve thought about taking it to the next level and power washing your engine, as well. If a clean exterior makes sense, then a shiny, clean engine bay does, too, right? 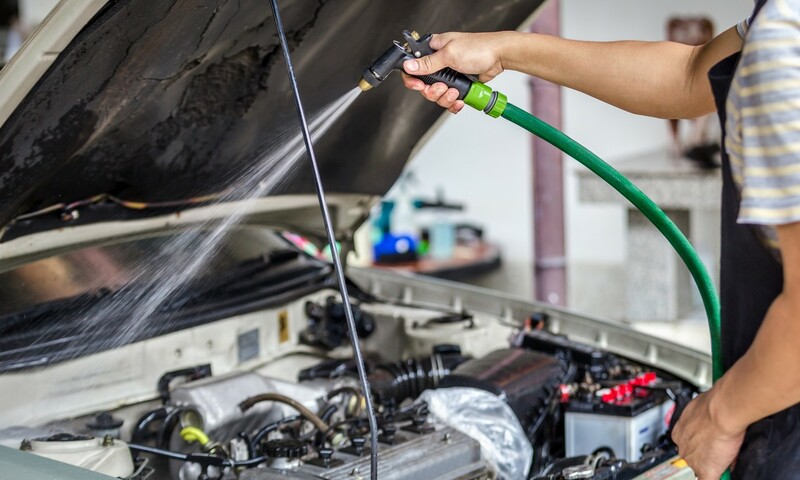 Pressure washing an engine can be fraught with complications for your vehicle. Water, while seemingly harmless enough on its own, can cause electrical problems if it contacts any sensors. 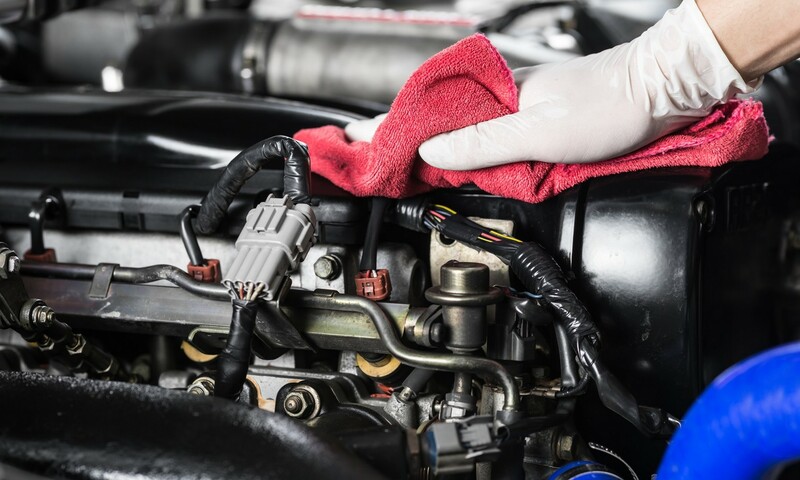 Plus, if water gets on your air filter or into your engine's intake manifold, it could make its way to your cylinders, where it could contaminate your oil and fuel. On top of all that, if your engine's belts get covered in oil and dirt, it could cause them to squeal or slip. Instead, if you want to clean your engine bay, you should consider doing so carefully. Think fine china versus everyday dishes; your everyday dishes can be popped into a dishwasher, where they will be subjected to high heat and water jets that won’t hurt them a bit. High-quality china, however, must be washed by hand and dried carefully and completely. The same principle applies under the hood of your vehicle. If you have an oil leak, the sticky liquid will attract dirt, which can cause a different set of problems. In that case, once you've stopped the leak, you can gently and carefully use a brush (old toothbrushes are great for this) to remove debris and dirt, and you can hand wash any covers or other pieces of machinery that could be negatively affected by the leak. On the other hand, if you have a show car or you’re planning to sell your car and need to wash the engine or apply a degreaser, the safest bet is to cover your alternator, distributor, air box, and fuse and relay boxes with a plastic bag, then rinse gently with a garden hose. Using high-pressure water on your engine when it's hot could result in cracked metal and compromised hoses, causing serious problems. Treat your engine with care and it will take care of you in turn. Keep it free of dirt by maintaining it with kid gloves, and it will last longer and perform better in the long run. If you need help keeping your ride in tip-top shape, the factory-certified technicians here in the 3 Birds Linking Service Department can do it all for you. Schedule your service online for a convenient experience!